Yesterday I wrote about a 10% bonus on Tesco Clubcard transfers to Virgin Flying Club which I had been emailed about. The article is here. The offer did not appear on the Virgin or Tesco sites so it was not clear if it was targeted. It IS now showing on the Virgin Flying Club page for Tesco Clubcard redemptions, so it is clearly not targeted. You will get a 10% bonus on all conversions until 14th December. 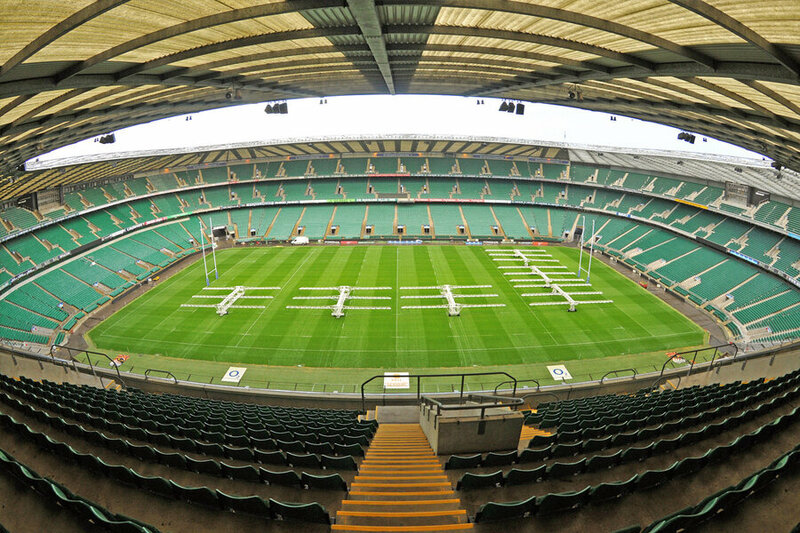 Marriott Rewards is offering VIP packages to the Argentina v Barbarians rugby match on Saturday 1st December at Twickenham. All three auctions close on 16th November. Hilton Honors dropped me a note to say that, due to website maintenance, the Hilton Honors platform will be down during parts of today and tomorrow. Don’t panic if the site is not functioning properly or at all. 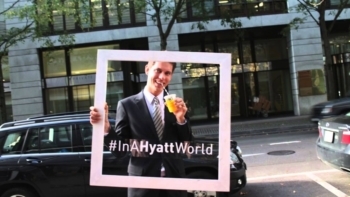 World of Hyatt changes from 1st November – good or bad? World of Hyatt is introducing a number of changes from 1st November. The email sent to members had a neutral ‘New Ways To Use Your Points’ headline. Unfortunately it hides one key change. From 1st November, ‘cash and points’ redemptions will – to all intents and purposes – become useless unless you only have a small points balance. At present, a ‘cash and points’ booking requires 50% of the usual number of points plus a FIXED and generally low cash payment, depending on the hotel category. From Thursday, ‘cash and points’ redemptions will cost 50% of the usual number of points plus 50% of the Best Available Rate. This means that there is little benefit to using this feature, especially as most people don’t pay Best Available Rate. Cheaper rates are often available, including pre-paid ones. Another minor loss is the removal of the two United Airlines lounge passes which were issued to top-tier Globalist members each year. A new redemption option, Premium Suites, will be available. These will cost up to 60,000 points per night and so will only attract the very highest points earners. A more realistic deal may be the new ‘use points to upgrade to a Premium Suite’ option – only available by telephone – at 9,000 points per night on top of the cash price for a standard room. I can see how both of these options could be useful to me personally. A Premium Suite should, at many hotels, sleep four. This would make the 9,000 points per night upgrade from a standard room a good deal and probably cheaper than booking 2 x standard rooms for my family. If a Standard Suite would be good enough, the removal of the three night minimum massively increases my opportunities to upgrade or redeem directly for one of those. Hyatt has also confirmed that a new Category 8 will be introduced for reward pricing. Don’t panic. The company is promising that no existing hotels will be moved into Category 8 and so it does not signify a devaluation. Category 8 will only be used for new premium partner hotels such as Small Luxury Hotels of the World members, coming to World of Hyatt soon, and the recently acquired Alila, Destination, Joie de Vivre, Thompson, and Tommie chains. Full details of the changes can be found on the Hyatt website here. OT Nectar swipe to win. Just tried crediting voucher to nectar account. Seems they are only taking one voucher per transaction this year if till person I went to is correct. For those with multiple vouchers to credit it is probably best to go to self service with a basket of stuff and check them out and credit vouchers one by one instead of making multiple visits to a store. Thanks, will try CS desk on way in next time, it was just a Local today. You beat me by 100 points across 5, not so good as last year for me. I was able to use two vouchers on one transaction at self service tills on Saturday. I used to think you could only add one voucher per transaction, think it was last year the till person said they could add them all in one shot! I tried looking at S&W T&Cs online to see if they had any restriction – page loads but body content is blank on pc and mobile. Same with previous editions, you can only process one at a time, I think due to the barcode being the same. The checkout staff tells you to go to customer services and they will process (but they don’t). Best to split the shopping down into smaller chunks and process that way. Careful doing that on self service as security thinks you’re abusing the system by scanning the same voucher multiple times. You are right if doing >1 of same value. Different barcodes for different values, worked on Saturday at self service, with one transaction adding one of 200 points and one of 500. Good news eventually vouchers to be returned in a money card . Now have to start all over again. Has anyone had success completing the “whole “ transaction? Once it’s a money card, it really is just money to be spent at Tesco (just like the xmas saver vouchers in original form). @David – for Rufusrea, maybe (declined vouchers) – I personally would not have accepted a money card as it was Tesco’s fault and if he had insisted on the T&Cs, original payment form should have been reinstated. In fact, he’d probably have got lucky there & then. O/T – anyone know why BA isn’t showing T-355 for flights to Tokyo currently can only book BA metal upto 7/10/19. Was looking to make a redemption early November but as flights don’t seem to be releasing at T-355 I’m a little early to the party ???? Any idea if it will normalise anytime soon ? Have you checkedto see if anything different showing on AA site? You could call BA and ask. If it is available but not showing I am sure you would avoid the booking fee. I wonder if it is something to do with the latter stages of the rugby world cup? T-355 is not exact. It varies by which airline is displaying it, destination and when they get around to loading! vigilance is best. It’s have to stop showing T-350 for me to start calling anyone otherwise I’d just keep a watch on it. Different airlines do vary in how quickly they show the same seats on other airlines for awards. OT: Does the amex16swp code work with supps if setting up a new amazon account? Code was only working with old accounts, from memory it was something like accounts created before last October. This might have moved as they have extended the closing date several times, but shouldn’t work with a new account. Yes, I lost track of what people were reporting on this. I suppose we can just open another account and try our luck. No, it only works on Amazon accounts set up before this year (exact date on the promo landing page). is the Tesco to Virgin 10% extra offer generally a good offer, or are there others, better to wait for? No, it is poor. Offers were typically 20% upwards but in the past 6 months we have seen this and I think there was a competition too. Unless your Tesco vouchers are expiring, I would sit on them – the extra flexibility is worth more than 10% extra VS miles unless you have short term redemption plans. Book by midnight 31 October for travel before 31 March 2019. Clever wording on the landing page for ‘offers’ not sale. Some of the Asia prices are higher than two days ago from my research. Thanks anyway Ben. How to save the Tesco point? I see I can auto transfer to Avios or virgin miles, any way to save it, ie not to do it automatically? I didn’t see an option to turn it off. I’m trying to do a cheapish trip to NYC next year (Feb). Got the flights for 170+5k points last week now looking for hotel. Budget is around £100/night. Have been before so flexible on areas (Inc/esp brooklyn?) and would appreciate any suggestions (I have marriott gold via Amex plat if that makes a diff). Thanks in advance. Staying across the river from Manhattan, either on the Long Island or New Jersey side, is a much more reasonable option than the city itself and public transport links seem to be good. Feb will be about the cheapest month to visit (as long as it’s not Valentine’s Day! ), though £100 per night might still be optimistic. Airport hotels can be very good value if you’re prepared to travel to see the attractions each day. We’re going to NYC in May (in F, thanks HFP!) and as we land in the early evening have opted to spend the first night at the JFK Hampton Inn, which has cost me 40,000 HH points as opposed to at least 70,000 in Manhattan – it’s coming up at $167 plus tax for early Feb. You could also get HH gold via Amex Platinum. have a look at Yotel, if you sign up to be a member you get extra discount off too. When we went on a budget in jan a few years ago they came out the cheapest. Worth looking at Airbnb if you ask me. I had two nights for under £100 in Brooklyn back in September. Wasn’t the nicest area but was right next to a subway station and about 15 minutes to WTC area of Manhattan, less than 30 to central park. I’m sure with a budget of double that will get you something decent. I couldn’t find any hotels remotely central for under £150 a night when I was looking other than the hell hole ones that always show up as the cheapest options. which is $140 for a random November weekend. 5-10 mins walk to the one-stop PATH train under the Hudson to World Trade Center, earn IHG points etc. With a budget of £100/night the OP should be able to find hotels around that price even in Midtown if he/she looks at the brands at the lower end of the major chains such as HGI and Hampton. Reservations can be combined with the usual tricks to save more cash abd/or earn more points. Personally I would recommend locking in a BFR and then hope to get lucky with good opportunities in early new year promotions. You have not yet reached the required level of 2,000 points to access our offer. You need to set up auto-convert using the landing page in my Accor / Avios promo article from a couple of days ago.